Sautéed portabella, spinach, artichoke hearts & fresh mozzarella topped with basil pesto, tomato in a toasted pita. Served with your choice of side. Sliced prosciutto, manchego cheese, habanero fig spread, honey mustard vinaigrette dressed spring mix on a toasted hoagie roll. Served with your choice of chips, side salad, french fries, cottage cheese or a cup of soup. 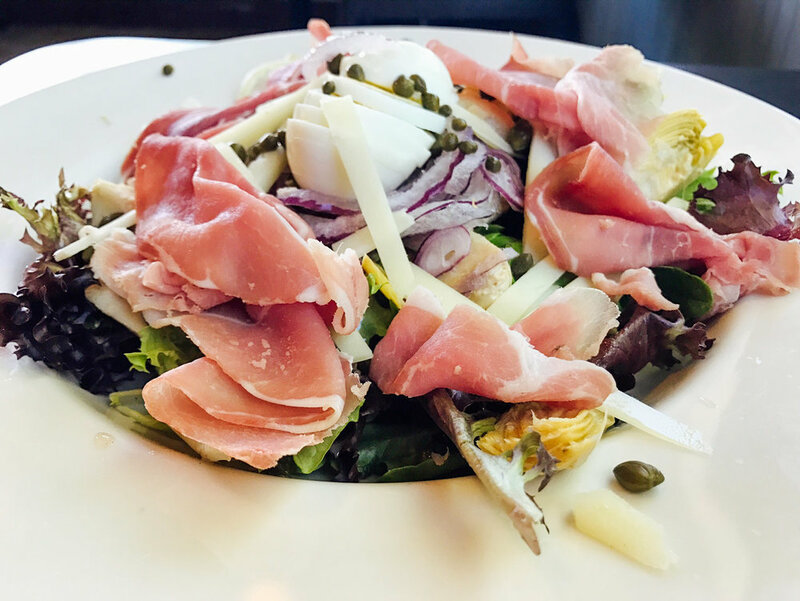 Spring mix tossed in an Old Bay vinaigrette, topped with sliced prosciutto, boiled egg, manchego cheese, capers, red onion & artichoke hearts. Toasted baguette filled with Asian style pulled pork, pickled jicama & carrots, cilantro, jalapeño & Asian barbeque sauce. Served with your choice of side. 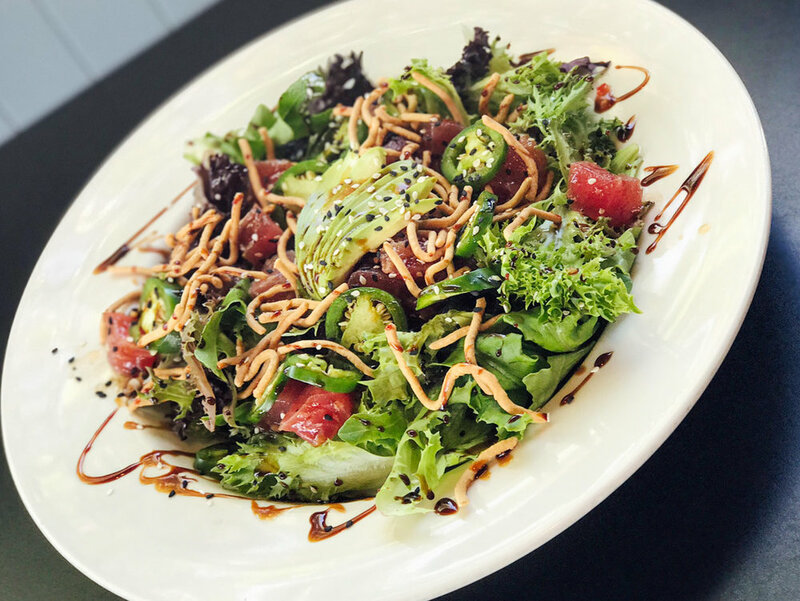 Spring mix tossed in our sesame soy vinaigrette topped with crispy chow mein noodles, tangy poke salad, picked jicama & carrots, jalapeño strips & avocado. Mandarin oranges, almonds, manchego & sliced apples over spring mix tossed in honey mustard vinaigrette topped with a pomegranate drizzle. 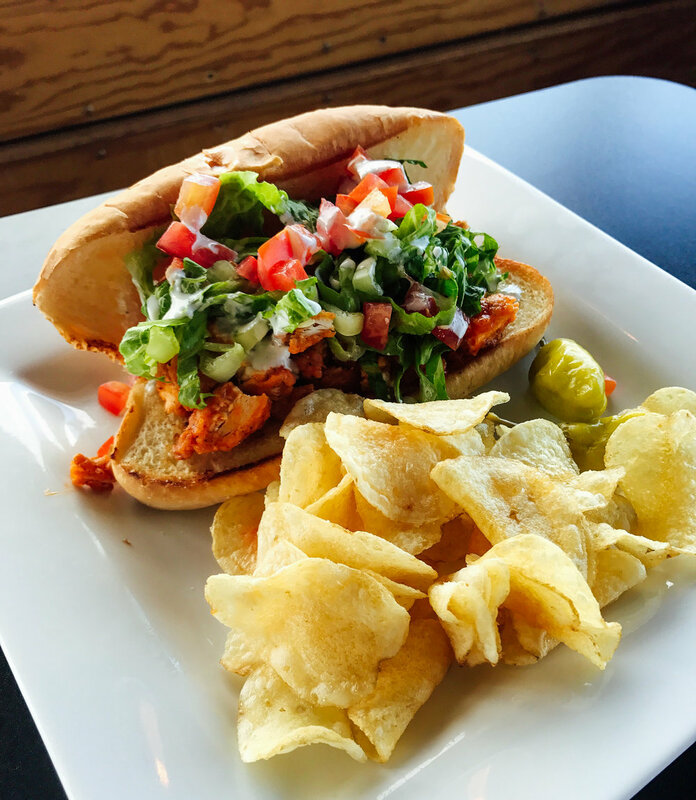 Breaded & fried chicken tenders tossed in tangy buffalo sauce served on a toasted goalie with romaine, tomatoes & ranch dressing. Served with your choice of side. 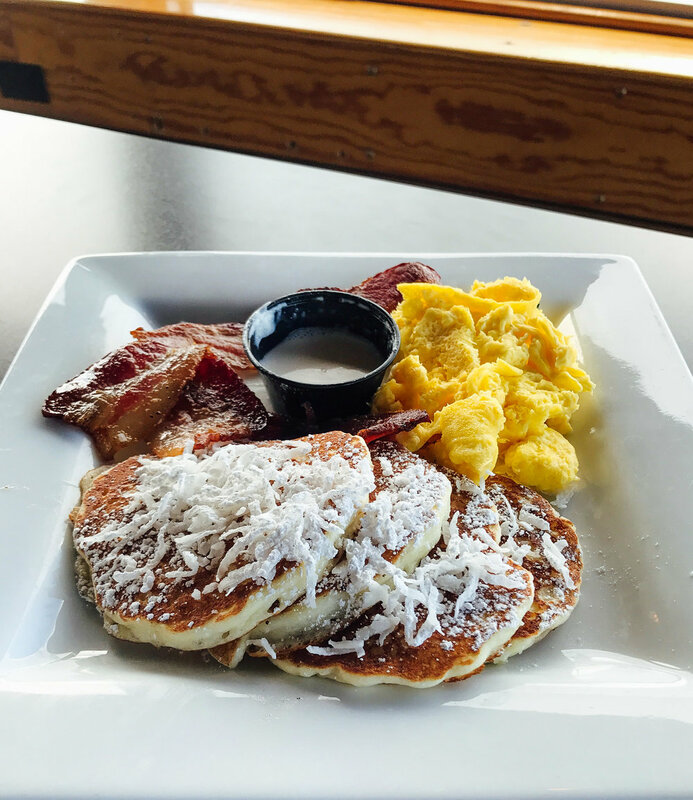 Four silver dollar Kona pineapple coconut pancakes, served with two eggs cooked any style & your choice of sausage, bacon or ham.